We’ve got three great weeks in Cozumel for you in 2015! Package price is $849 USD per person, based on double occupancy. Ask about single supplement, extra nights, extra dives or anything else you’d like! 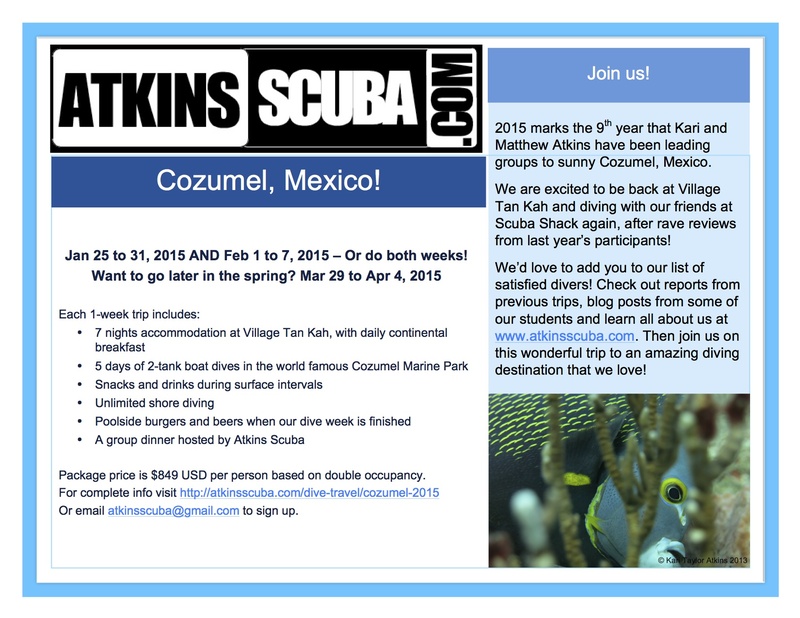 Kari and Matthew have been leading trips to Cozumel for nine years now. So you’ll also get the benefit of their local knowledge. This will include a trip to our favourite taco stand (where you can even get BRAIN tacos if you wish) as well as a selection of our most-loved restaurants in town! We’d love to have you join us this winter. Send us an email to sign up or ask questions!